With the widespread use of smartphones as recording devices and the massive growth in bandwidth, the number and volume of video collections has increased significantly in the last years. 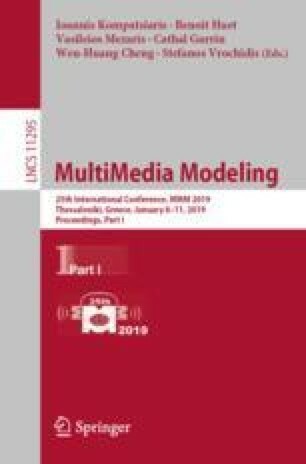 This poses novel challenges to the management of these large-scale video data and especially to the analysis of and retrieval from such video collections. At the same time, existing video datasets used for research and experimentation are either not large enough to represent current collections or do not reflect the properties of video commonly found on the Internet in terms of content, length, or resolution. In this paper, we introduce the Vimeo Creative Commons Collection, in short V3C, a collection of 28’450 videos (with overall length of about 3’800 h) published under creative commons license on Vimeo. V3C comes with a shot segmentation for each video, together with the resulting keyframes in original as well as reduced resolution and additional metadata. It is intended to be used from 2019 at the International large-scale TREC Video Retrieval Evaluation campaign (TRECVid). This work was partly supported by the Swiss National Science Foundation, project IMOTION (20CH21_151571). Disclaimer: Certain commercial entities, equipment, or materials may be identified in this document in order to describe an experimental procedure or concept adequately. Such identification is not intended to imply recommendation or endorsement by the National Institute of Standards and Technology, nor is it intended to imply that the entities, materials, or equipment are necessarily the best available for the purpose.